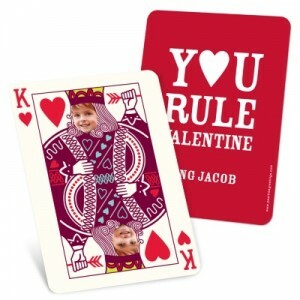 Have you seen our new kids Valentine’s Day cards? We love, love, love these cards, and think you will too! From our affordable-but-still-fabulously-personalized Valentine’s Day card ideas your kids can bring to school, to precious Valentine’s Day photo cards you can send to loved ones, these cards will be melting hearts all over the country. 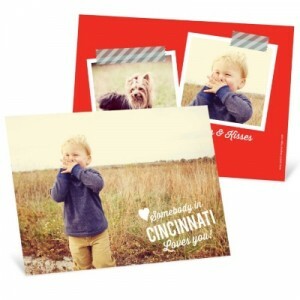 Share the love by sending stylish Valentine’s Day Photo Cards featuring a certain someone’s adorable face. Go extra sweet with a unique, special-shape card. Looking for something non-Nickelodeon or Disney to share in the classroom? 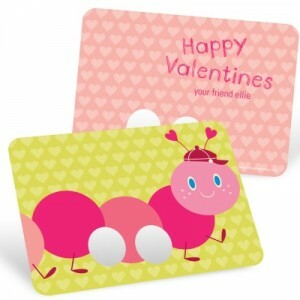 We have over 40 kid-friendly, affordable kids Valentine’s Day cards that don’t compromise on great design. Many of them let you add your child’s photo to personalize the design. Order as few as 8 for less than $10! Sending Valentine’s Day cards in the mail? Don’t forget the adorable Valentine’s Day address labels to match. How about a Valentine’s Day photo magnet? 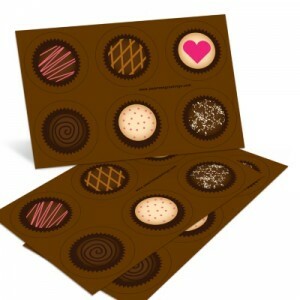 Want to personalize your kids’ classroom-bound treats? 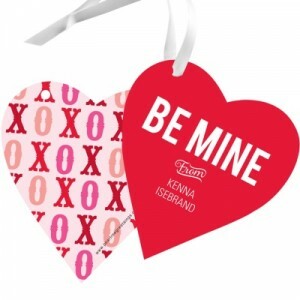 Think about attaching personalized Valentine’s Day gift tags or decorating with valentine stickers! 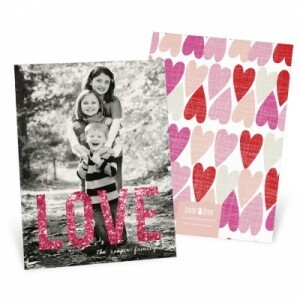 Look for more kids’ valentine ideas on our blog, or get started personalizing your kids Valentine’s Day cards right away! Creating your own unique valentines is easy at Pear Tree.